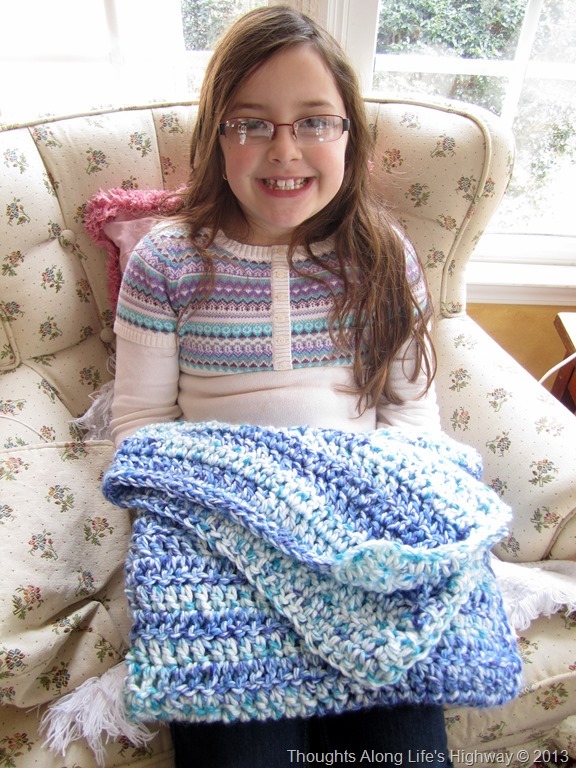 Little Bit asked me to make a blanket for her teacher who just had a baby boy. She had such fun in the yarn shop picking out just the right yarn – it had to be soft and fluffy and just the right shade of blue. We decided on a chunky yarn – Deborah Norville Collection in the Ocean Foam colorway. 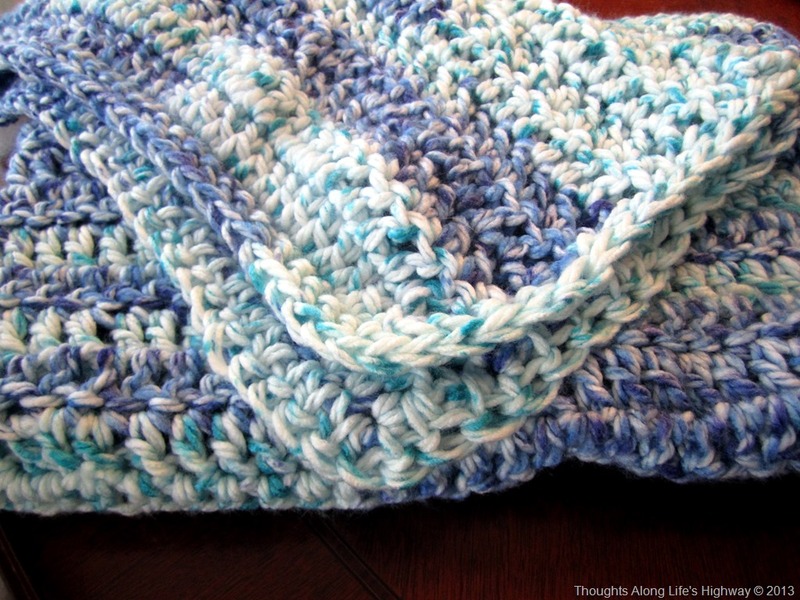 I did an extended double crochet stitch to make the stitches a little higher – I only had 4 skeins so I wanted to get as big a blanket as I could with what I had. 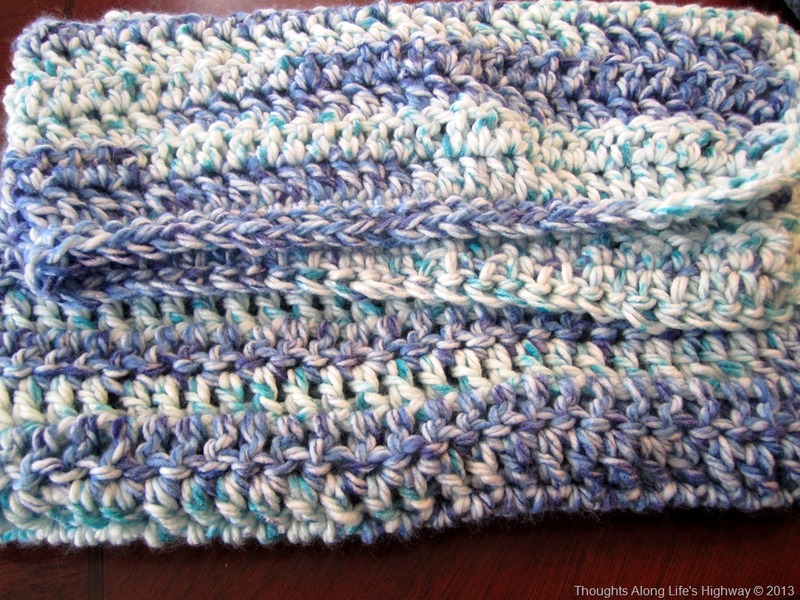 It turned out really pretty – light and airy and yet really warm with the chunky yarn. Little Bit was so excited to take it to school to give to her teacher.